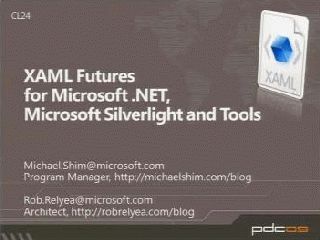 Rob is an Architect in the WPF and XAML Language teams. After working in Microsoft’s Chicago field office and working on DHTML in the Internet Explorer team, Rob was a founding member of the "Avalon" team in 2001. The rest has been all XAML. Rob's blog can be found at http://robrelyea.com/blog.